I am happy to share two new prints—both are inspired by our dawning age of ungovernability. Both are on view in Social Energies, curated by Alice Wu, through March 10 at Legion, San Francisco. Christine Wong Yap, Horoscopophilia, 2017. Printed by Colpa Press, an artist-run press in San Francisco. Drawn and perforated in Queens, NY. $10 each, available at Legion. Christine Wong Yap, Fist Bump Bandanna, 2016. Fist Bump Bandanna is inspired by the ideal of solidarity among all politically marginalized groups, and the ferocity of our people power and revolutionary love. Curator Alice Wu and I are donating 50% of each $20 Fist Bump Bandanna sale to the Chinatown Progressive Association. They’re a non-profit organization based in San Francisco’s Chinatown since 1972. CPA “educates, organizes and empowers the low income and working class immigrant Chinese community in San Francisco to build collective power with other oppressed communities to demand better living and working conditions and justice for all people.” They are also a member organization of SF Rising, an alliance of multi-racial social justice organizations. I’m happy to support organizations like CPA, which have been empowering local communities from within for years. Printed at the Center for Book Arts, NYC, with the support of a 2016 Workspace Artist-in-Residence Grant. Limited edition. Only $20 each, available at Legion. I’ve assembled some projects as gift sets this holiday season. Thank you for your support. I’m a working artist, and I mostly engage with non-profit organizations. It’s been a pleasure to share my participatory projects over the past year. If you enjoy my work, consider giving or collecting one of these specially assembled sets, so I can keep making and sharing. Payments are accepted through Paypal. Prices are listed for US shipping only. For international shipments or alternative payment methods, please email me. Ways and Means Activity Kit, 2016, letterpress prints with hot foil, pencils, crafting extras, dimensions variable. Get or give a set of 8 letterpress-printed activities to explore how we rely on and support each other. Cut and assemble linoleum prints to visualize your chains of cooperation. Set up a buddy system to reach goals with pledges and postcards. Draw a portrait of the friends and family who keep you afloat. Send a letter (four sheets of letter paper, including a bear with a top hat!) in a make-your-own envelope. Also included are three hot-foil stamped Ways and Means pencils, a Ways and Means postcard, and a bell and ribbon (color may vary) to assemble your own Interdependence Door Charm. The printing methods span hand-set lead type, hand-carved relief printing, pressure printing, polymer plate, and hot foil stamping. Printed by the artist on Vandercook presses at Kala Art Institute in Berkeley, CA and the Center for Book Arts, NYC. Learn more about the Ways and Means project. While the project was on exhibit last fall, individual activities were available on a limited, take-one basis; this set offers a chance to enjoy 8 activities at once. Ways and Means notecards, 2016, letterpress polymer plate print on cream laid paper stock, 5×7 inches each, set of 10. These letterpress-printed cards with blank backs can be used as postcards or notecards. They feature icons representing interdependence in my recent Ways and Means project. For example, balloons represent peers who keep us afloat, a drill and thread is for our skills and resourcefulness, and links stand for being part of a chain of cooperation. I printed these 5-by-7-inch postcards on a Vandercook press at Kala Art Institute in Berkeley, CA. Each card was printed with soft green ink on cream laid paper. Five postcard designs, 4×6″ each. This set of ten postcards features a selection of the five cards pictured above. Six cards depict three installations using only ribbons to create texts that are inspired by positive psychology. A make things (happen) postcard—which can be colored in—is included, as well as a postcard from the Irrational Exuberance (Asst. Colors) project using discount store products to explore pleasure. The backs have just caption info and a URL, with plenty of space for writing special notes to mail to friends. Benefit set of five prints of Nos Cubrimos Las Espaldas/We Got Each Other’s Backs (2016, letterpress pressure print with hand-set wood type, 12×18 inches). I made these in response to Trump’s election to express solidarity with marginalized groups. I have been giving individual posters out to local protestors and allies, and offering a downloadable file for self-desktop printing, but now you can order a set of 5 to distribute as you please. I printed each of these posters on a Vandercook letterpress at the Center for Book Arts, NYC. The image is made with pressure printing using a hand-cut paper stencil; the text is handset wood type. I used fluorescent pink and royal blue ink on smooth, bright white, Cougar 80# text paper. The handmade nature makes each of these prints highly unique. You might also like to see the multiples for sale on my website, including a holographic sticker sheet, and pinback buttons about overcoming setbacks. After five weeks of intensive printmaking and sewing, I’m happily exhausted and happy to share Ways and Means, a new body of letterpress-printed activity kits, collaborative games, and custom garments exploring interdependence and resourcefulness. 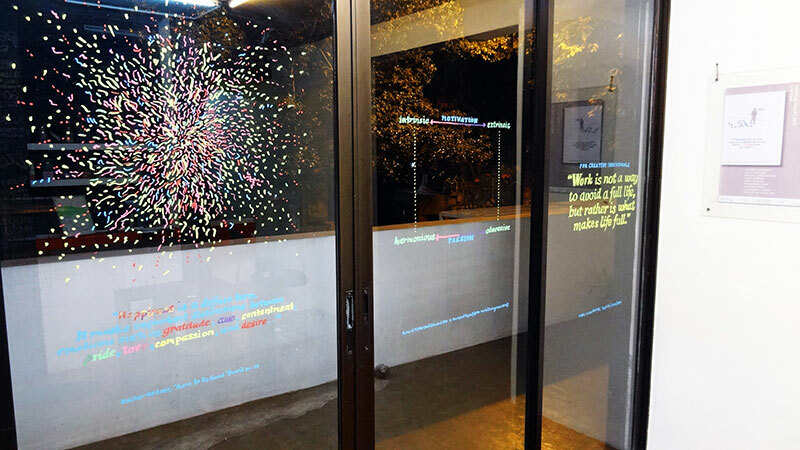 The project includes collaborations with Leah Rosenberg, Elizabeth Travelslight, and Sarrita Hunn (Institute for Autonomous Practices). Ways and Means is participatory—come, interact, bring a buddy, and make new buddies. Details from Ways and Means: letterpress printed cut-and-assemble activity on interdependence (two-color linoleum and polymer printed and bound at the Center for Book Arts, NYC) and apron (two-color screenprint on canvas, sewn with Sophia Wong). This experience has been so positive in bountiful ways. I’ll elaborate more later, but at this moment I am moved to share my gratitude for the organizations and so many individuals who have made this possible: Kala Art Institute; the Kala Fellows Program; Kala staff (particularly Carrie Hott, Paper Buck, Ben Engle, Andrea Voinot, and Mayumi Hamanaka for their help and trust, and Archana Horsting and Yuzo Nakano for having the vision to create and maintain such a special place); Kala fellow Fellows, Honorary Fellows, AIRs, and interns for contributing to the spirit of welcoming community and knowledge-and-resource-sharing; the Center for Book Arts’ AIR Workspace Grant program; Val Imus and Southern Exposure for non-profits’ mutual aid; Kevin B. Chen and Genevieve Quick for believing in me; collaborators Sarrita Hunn, Leah Rosenberg, Elizabeth Travelslight; installer Gary and interns Katrina and Sean; Sophia Wong for sewing assistance; and Michael Yap for unending support. I am also grateful for Susan O’Malley, to have shared in her life, work, and wisdom, and—I believe—a feeling that interdependent entanglements such as these swell our hearts and lives… Thank you. Participants are invited to string together the flags representing their strengths. Will shows how it’s done: connecting toggles to the loops. Open Thursdays–Sundays 11–6 and until 8 on Fridays. I’m very pleased that this exhibition, which has been two years in the making, is now open. It includes work from 72 participants in the Bronx Museum of the Arts’ Artists in the Marketplace program, who have diverse, strong practices (whose praises I sing in the Time Out article below). On July 15, the museum held an open house for Bronx Calling as well as ¡Presente! The Young Lords in New York (recommended!). Over 1,000 people attended. See photos of the open house, which included numerous performances. I’m debuting Character Strengths Signal Flags. This project has been three years in the making—I designed and sewed 24 signal flags in an edition of three. Each flag has a letterpress-printed label identifying the character strength and one of the six categories developed by positive psychologists Chris Peterson and Martin Seligman. The flags are installed with a legend and flagpoles. Viewers are invited to find and fly the flags of their strengths. See more pics on my website. Character Strengths Signal Flags, 2015, linen, twill tape, letterpress-printed ribbon, rope, wood, flagpoles; 24 flags: 12.5 x 12 inches each; edition of three; flagpoles: 72–84 x 12 x 12 inches each; display: 73.5 x 20.5 x 27 inches. See Time Out New York! Dana Varinsky. 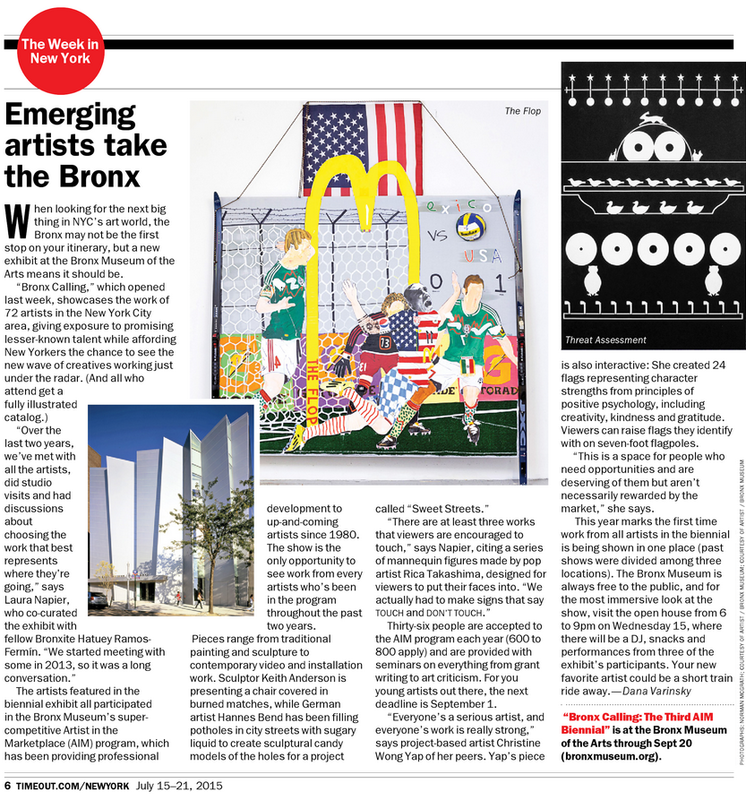 “Emerging Artists Take the Bronx,” Time Out New York, July 15, 2015. Bonus: You can top off your visit with a street festival! Right in front of the Bronx Museum, Grand Concourse from 161st Street to 167th Street will be closed to cars and open to a world of fun with free music, activities, and programs hosted by artists and organizations from the Bronx and beyond. What’s not to like? This week, Lauren Frances Adams and I will present new participatory projects in this exhibition inspired by garage sales. I’ve been thinking about non-attachment—letting go, and being less of a control freak. I’ve made some piñatas; come destroy them. 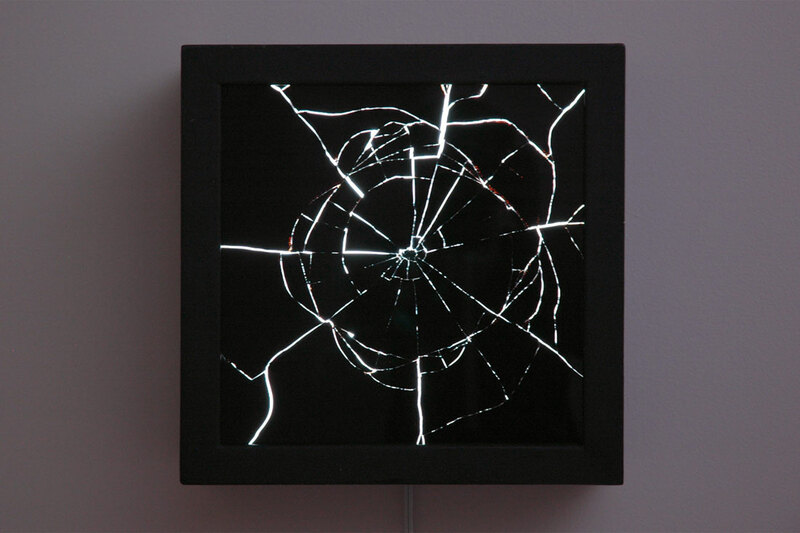 Lauren Frances Adams and Christine Wong Yap share interests in how objects and possessions are imbued with meaning. a handle, a stem, a hook, a ring, a loop is a collaborative installation of imaginative objects and paintings that explore desire, loss, and non-attachment. Garages often serve as surplus storage, but the lack of excess space in NYC inspired Wong Yap to make papier-mâché piñatas of objects that she would like to own but cannot store, such as cooking appliances and woodworking tools. The exhibition culminates on Saturday with a ‘non-attachment piñata party,’ where the confetti-filled piñatas will be available for the public to hit and destroy in a gesture of letting go. In case you missed it, some of my Positive Signs drawings were interpreted as site-dependent drawings at Artery Art Space in their May exhibition, Material Practices in the Everyday. I really love how they turned out. Thanks to Artery for inviting me and making such great versions! 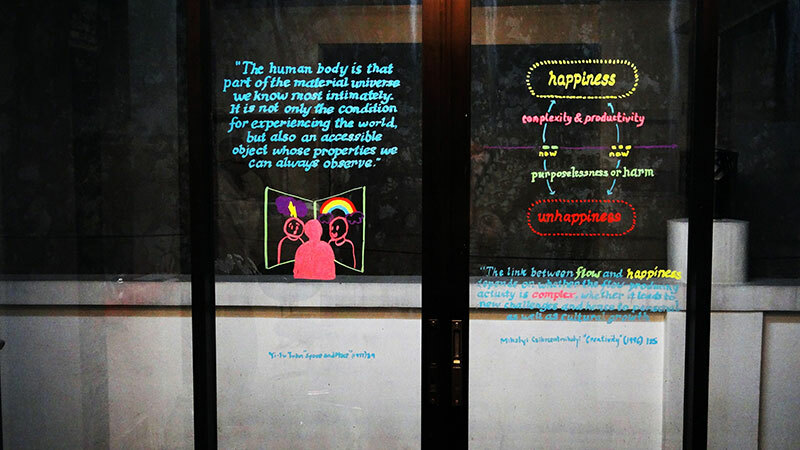 Positive Signs by Christine Wong Yap, locally re-drawn by Artery Art Space. 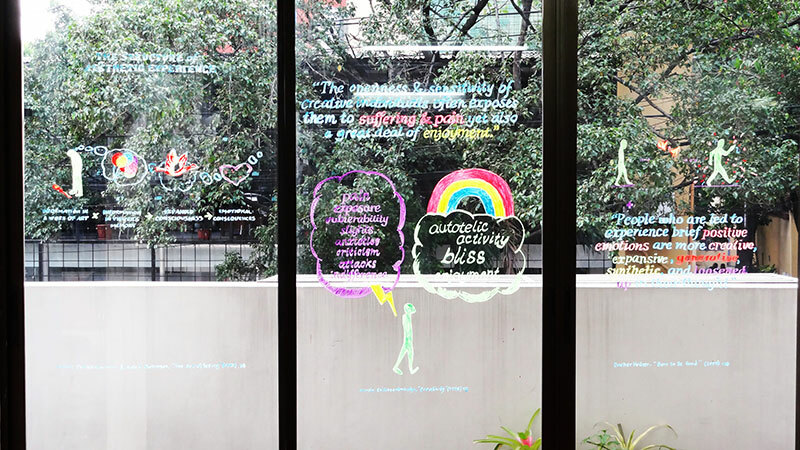 Installation view, Material Practices in the Everyday, May 2015, Artery Art Space, Quezon City, Philippines. …developing new work for the show in a residency at c3:initiative (and using the Pulp and Deckle paper making studio)…. …and talking about Make Things (Happen) with guests Julie Perini and Lexa Walsh in PSU’s Assembly. A discussion about Make Things (Happen) (in partnership with PSU MFA in Art & Social Practice’s Assembly 2015). Features guest dialogists and Make Things (Happen) participating artists Julie Perini and Lexa Walsh. At Portland ‘Pataphysical Society. Limited seating.